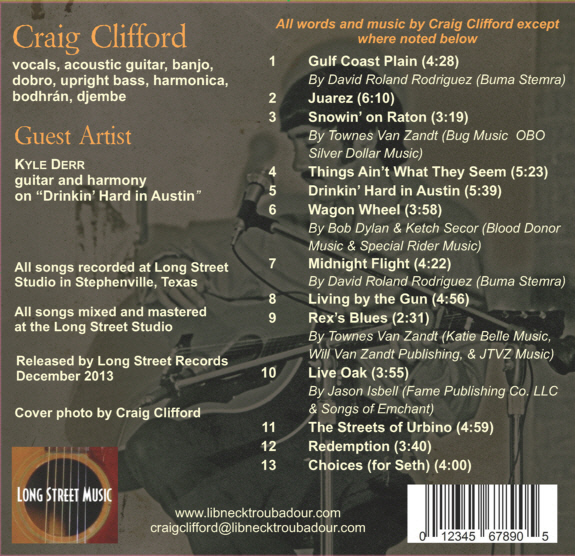 For bookings, contact me at 254-965-6178 or craigclifford@libnecktroubadour.com. 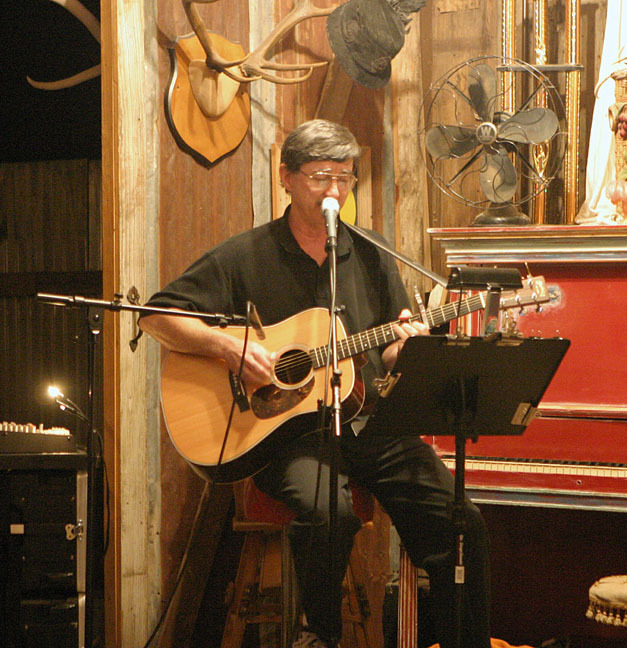 For more information about my music, go to my Facebook page at http://www.facebook.com/?ref=tn_tnmn#!/profile.php?id=1404692674. To listen to my music, go to https://soundcloud.com/libnecktroubadour. 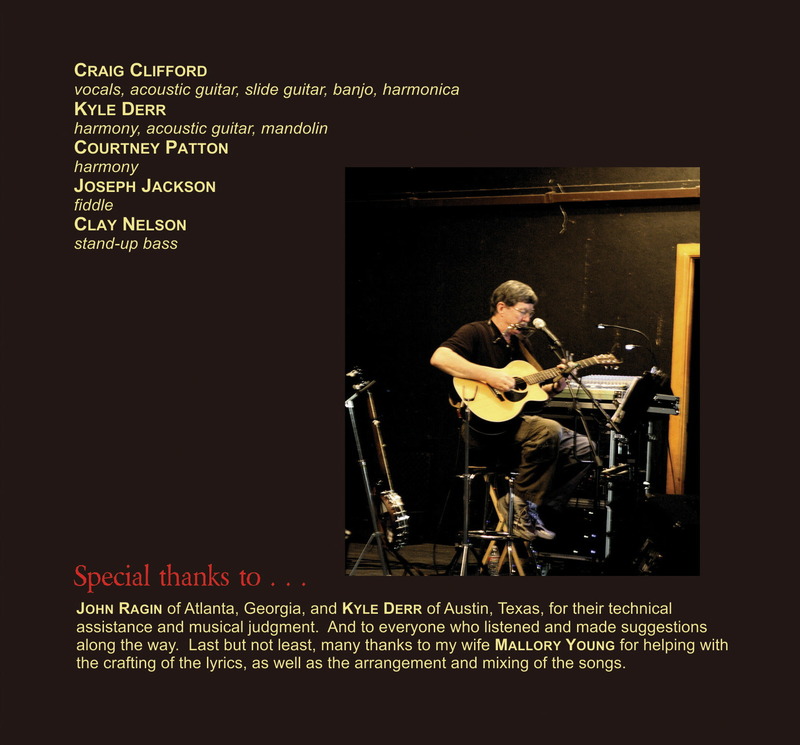 Choices, an acoustic album including seven of my songs, two by David Roland Rodriguez, two by Townes Van Zandt, one by Jason Isbell, and one by Bob Dylan and Ketch Secor. You can place an order and pay through PayPal down below. Or if you live in the Stephenville area, you can get them directly from me and save the shipping. Order CHOICES / PayPal payment. 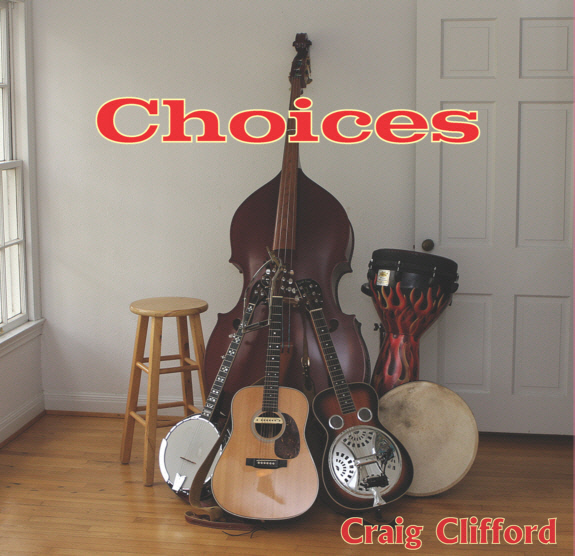 Order MP3s of CHOICES songs / PayPal payment. If you insist on buying crappy MP3s, you can get them directly from me through PayPal. 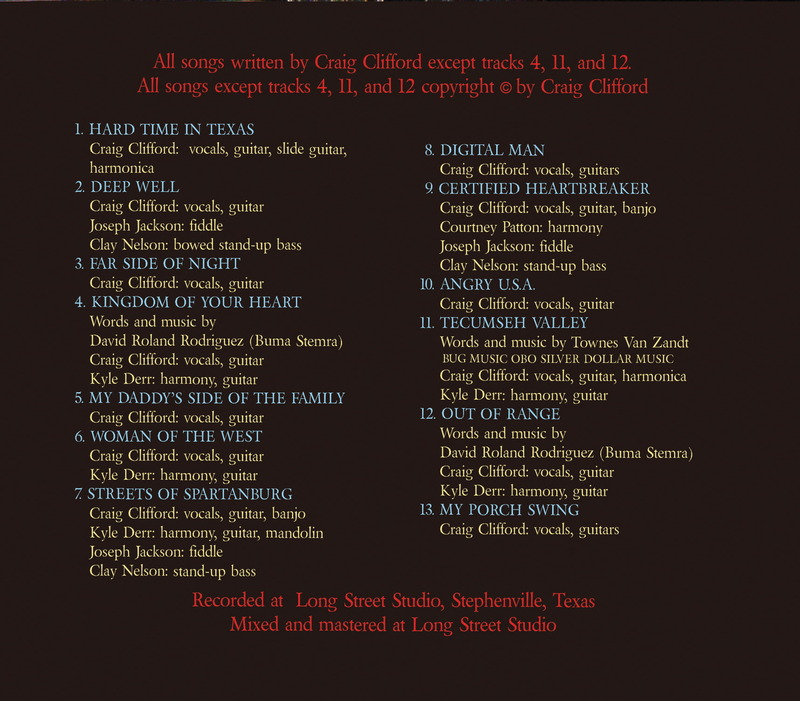 Hard Time in Texas, an acoustic album including ten of my songs, two by David Roland Rodriguez, and one by Townes Van Zandt. You can place an order and pay through PayPal down below. Or if you live in the Stephenville area, you can get them directly from me and save the shipping. Order direct / PayPal payment. Or if you prefer to download the album or singles as degraded MP3s, they are available from CD Baby at https://www.cdbaby.com/. 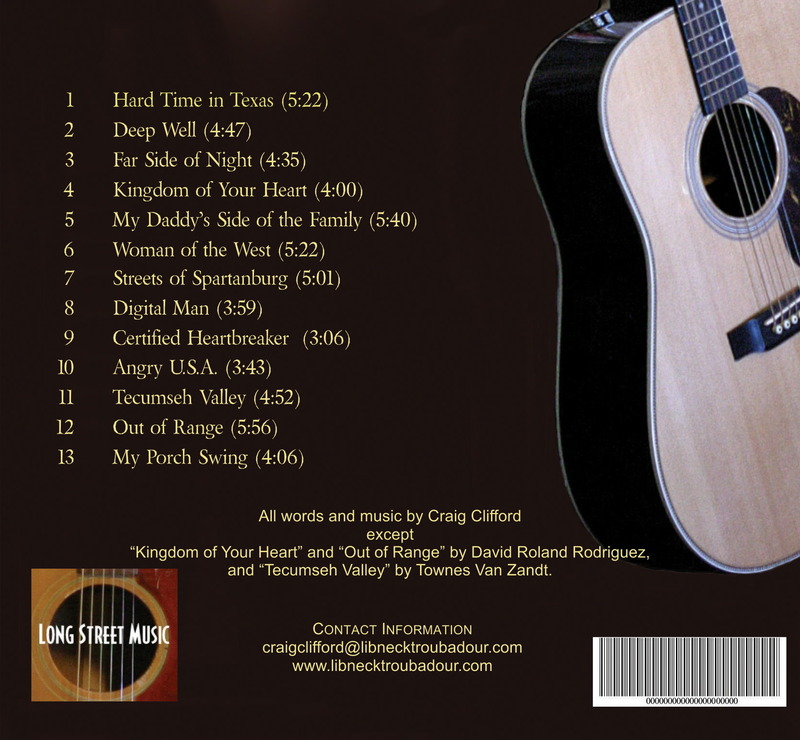 MP3s are also be available at ITunes, Amazon, Napster, and other digital distribution outlets. 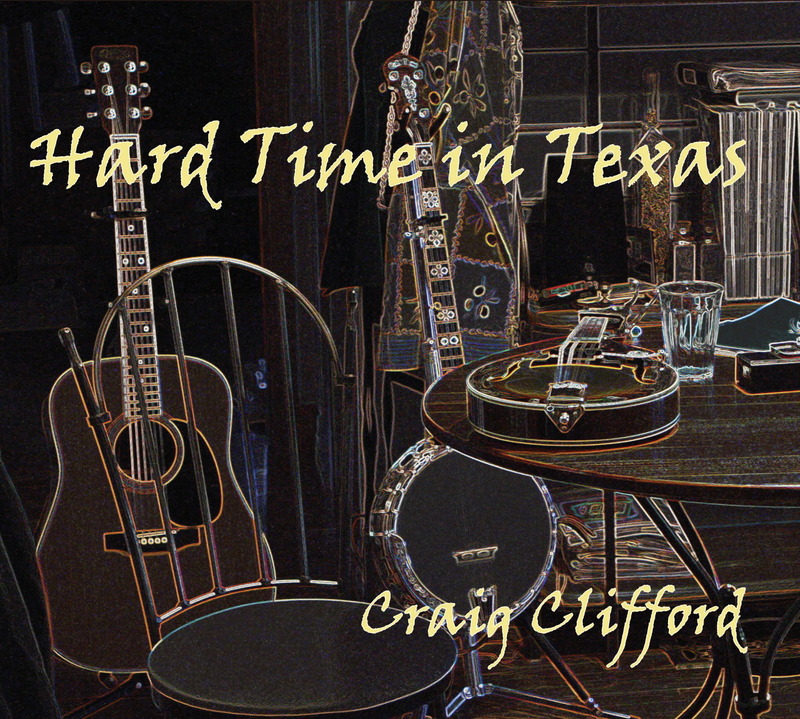 Video of "The Bull Rider's Lament"
Video of "Hard Time in Texas"